Boyne Resorts in Northern Michigan: Something for Everyone, Year-Round! FAIRHAVEN, Mass. 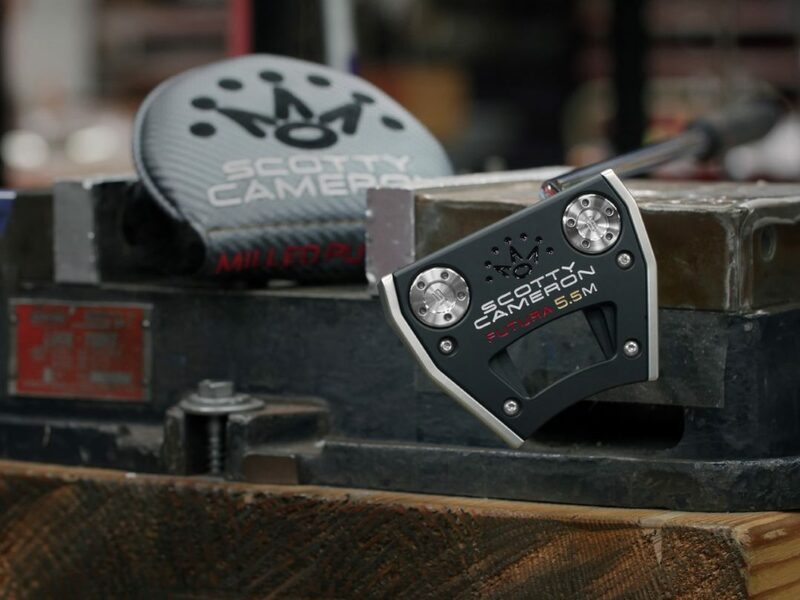 (Aug. 1, 2017) – Scotty Cameron has added a high-MOI mallet with enhanced toe flow to his new Futura line of putters – the Futura 5.5M – combining the forgiveness of a mallet with the feel of a blade. Inspired by Scotty’s work with players on the worldwide professional tours, the Futura 5.5M offers a new mallet option featuring the alignment and high-MOI characteristics of the Futura line coupled with a neck configuration that promotes a flowing, arced putting stroke more commonly associated with blade style putters. The Scotty Cameron Futura 5.5M is available in North American golf shops beginning Aug. 25 (Sept. 22 worldwide). QUOTING MASTER PUTTER MAKER SCOTTY CAMERON: “The idea for the Futura 5.5M began as a prototype when Justin Thomas came to the Putter Studio looking for a new option,” Cameron said. “He wanted a smaller mallet that he could align easily, but one that also promoted the arced putting stroke he preferred. We welded a flare neck to a Futura X5 Tour putter and sent him on his way. He went on to win three events, reporting back that some of his buddies wanted a putter like his. The wheels started turning from there. • The compact mallet—about 10 percent smaller than the similarly-shaped Futura 7M—is designed for easy alignment with built-in toe flow. • Shorter single bend shaft configuration for additional toe hang, promoting an arced path and flowing putting stroke. • Multi-material technology – featuring wrap-around face-sole construction milled from lightweight 6061 aircraft grade aluminum, integrated with precision-milled 303 stainless steel – moves weight back and to the perimeter, allowing for a larger putter head with enhanced high-MOI performance (resistance to twisting during the stroke). • Tour-proven heel-and-toe sole weighting technology increases stability and forgiveness. FUTURA PUTTER FAMILY: From rounded mid-mallets to high-tech, high-MOI larger mallets, the 2017 Futura family melds design characteristics of the previous generation mallets with Scotty Cameron’s continued innovation in multi-material putter constructions. The result is a cohesive lineup of tour-proven shapes and configurations – Futura 5CB, 5MB, 5W, 5S and 5.5M; Futura 6M and 6M Dual Balance; and Futura 7M – with enhanced stability and forgiveness, improved alignment features, and responsive feel and feedback. FUTURA ACCESSORIES: Each new Futura putter features advanced stability weighting with removable, customizable stainless steel sole weights, stepless steel shafts and supple Black Matador Mid-size grips with red and gold accents (Futura 6M DB employs a 15-inch Dual Balance grip) developed to offer the comfort of a larger grip while maintaining responsiveness and feel. MODERN AESTHETICS: Scotty gave the Futura line’s raw stainless steel surfaces a Silver Mist finish with a unique bead blast for a radiant, yet glare-resistant, appearance. All aluminum sole plates have been anodized in black. Additionally, the Tour-inspired cosmetics display the familiar three bright translucent red dots in the back cavity with engraved typography befitting this modern, high-performance line. FUTURA 5.5M AVAILABILITY: Futura 5.5M putters will be available beginning Friday, Aug. 25 in North America (Friday, Sept. 22 worldwide) through Titleist authorized golf shops. MAP $379 | MSRP $410. 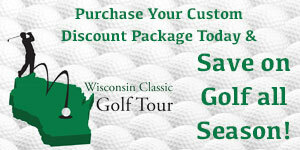 Glen Turk is a Wisconsin native who has been the Senior Writer/Editor of Midwest Golfing Magazine since 2006. Besides being an avid golfer, Glen enjoys traveling, music, and cheering on the finest professional sports team of all-time, the Green Bay Packers. Glen’s ultimate golf goal is to play in all fifty states and currently he is more than half way there. His other dream, albeit far-fetched, it to record an ace in all seven states of our distribution area. Thanks to an ace in Illinois in 2015, and one in Michigan in 2016, he has three down, four to go!